Ronewa Mudzanani is currently 29th in the world for Wheelchair Tennis. His ultimate goal is to become the best player in the world and bring home a medal for South Africa in next year’s Paralympics in Tokyo. Ronewa is from Vhuri Vhuri, a small village in Limpopo. ‘I didn’t grow up having a father close to me. I was raised by my mom and my grandmother and attended a special primary school’. When he was born, at first the doctor didn’t see that he had a spinal problem. It was only identified at the age when he was supposed to start walking, and he was unable to do so. ‘The Doctor explained to my mom that they would have to do an operation to put some rod inside my body. This was to make sure that the spine would be in the right position. At that point, my mom refused thinking that I was not going to make it’. Ronewa therefore resorted to crutches in his early years, but from age 15 onwards he started to feel intense pain in his body. ‘This time the Doctor said that the more I grew the more I would feel the pain because my spine wasn’t in the right position. Since then I have been using a wheelchair’. 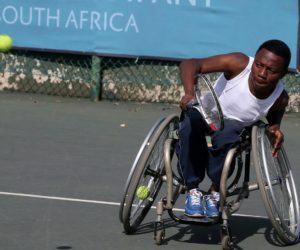 It was soon after he went into a wheelchair that Ronewa was introduced to the sport of Wheelchair Tennis. Initially he started playing at high school, but he quickly progressed through the ranks and started playing at professional level in 2014. ‘My goal is to be able to represent my country regularly in big Tournaments one day’. Ronewa’s skills set doesn’t just end when he crosses the tram line. He recently completed a learnership with Training Force gaining one year of call centre experience. They were extremely impressed with his dedication, and he is hopeful of gaining a permanent job in the near future. 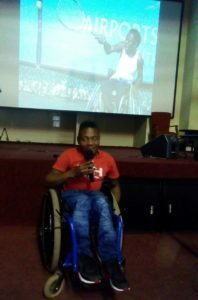 He also does motivational speaking, speaking to individuals about his journey and highlighting to them that anything is possible. Learnerships are a fantastic way to earn money and grow your experience. ClockWork offer numerous learnership opportunities for people with disabilities. Click here to register for learnership opportunities with ClockWork. Ronewa is completely independent and has to support his family at home. He needs to pay rent which isn’t easy on his learnership stipend alone. In order to progress his Tennis career, a lot of medical support is required to ensure he is fit to play at the highest level. Playing professional sport requires a whole host of things. Dedication, ruthlessness, work ethic, a positive attitude and skill are just some of the things Ronewa has which have allowed him to get this far. However, the unfortunate truth is that in order to make it to the very top, he needs financial support. He is currently represented by Mavu Sports Development whose mission statement is to support emerging elite athletes. COO Bram Van Wijck says ‘Over the years we have supported a number of upcoming elite athletes, through mentoring and financial support. 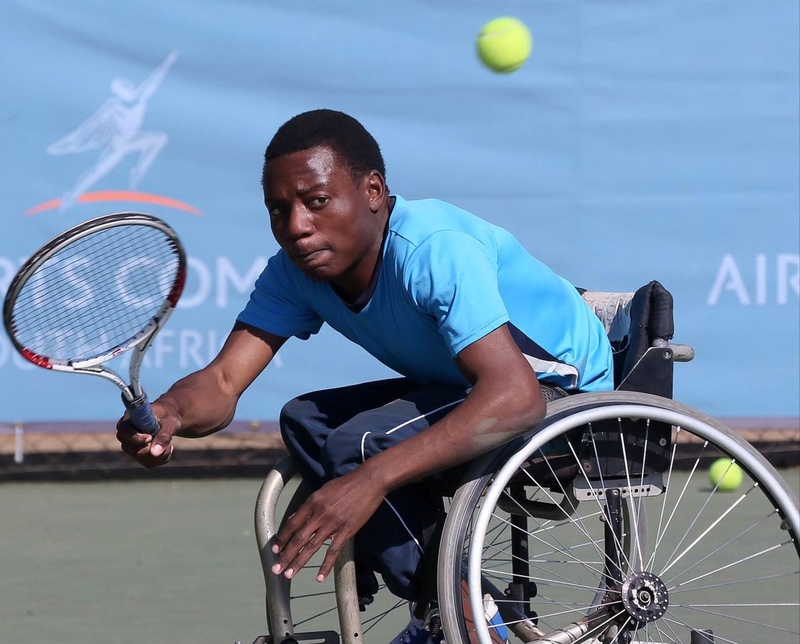 Ronewa is exactly that – a young upcoming wheelchair tennis player in the quads division’. Both Mavu Sports Development and Ronewa call for your assistance in order to make his dreams happen. A small donation could go a long way in terms of helping a previously disadvantaged individual get to the top of his game. What can we learn from Ronewa? Whatever type of individual we are from and whatever part of life, we can certainly learn a lot from Ronewa Mudzanani. His ‘never say die’ attitude and will to succeed in life has taken him to a lot of places many people would never have dreamed of. Consequently, he has completed a learnership qualification which will hopefully assist him with transitioning into the labour market. 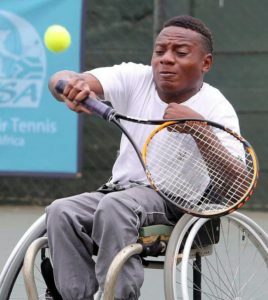 He has used his disability to his advantage in progressing up the wheelchair tennis rankings. He might be under numerous constraints that stop him reaching his goal, but with his desire and your kind donations, Ronewa Mudzanani could one day become a household name to remember. Everyone at ClockWork would like to wish Ronewa all the best going forward with his career in both Tennis and other academic spheres he chooses to partake in.